Looking forward to 2019 – more new classes, more new music, more new friends, more new places to share our joy…what’s not to like about that! You may not think you play a large role, but all of the parts that folks play come together to make the events happen! New experiences and new friends made while trying to figure out the steps make the challenge worthwhile. 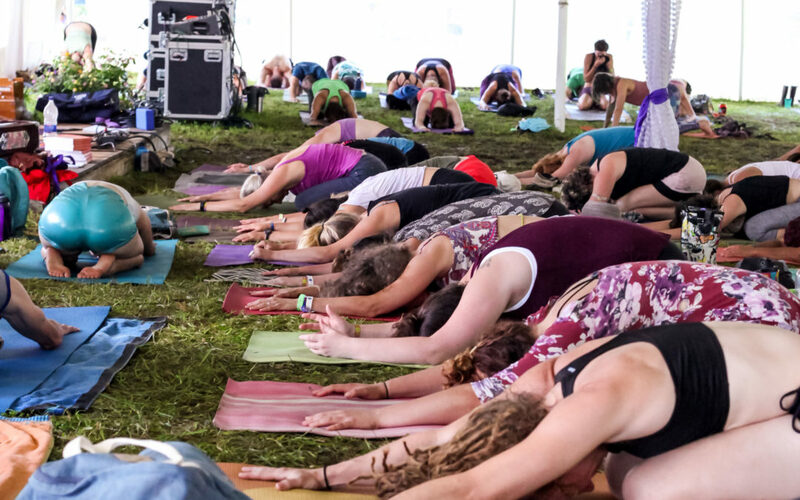 2019 brings some new exciting possibilities to deepen your yoga practice through the mini yoga jam retreats. There will be 3 retreat offerings limited to 20-25 people each and all to be hosted in Floyd Virginia. Arrival on a Friday night and departure after brunch on Sunday. February, April and June, more details coming soon. These prices are cheaper than a camping space in most State Parks. Announcement of ticket sales to a link will be posted on the website, newletter and on social media.